allaboutedie: ALDO shoes X allaboutedie comp. 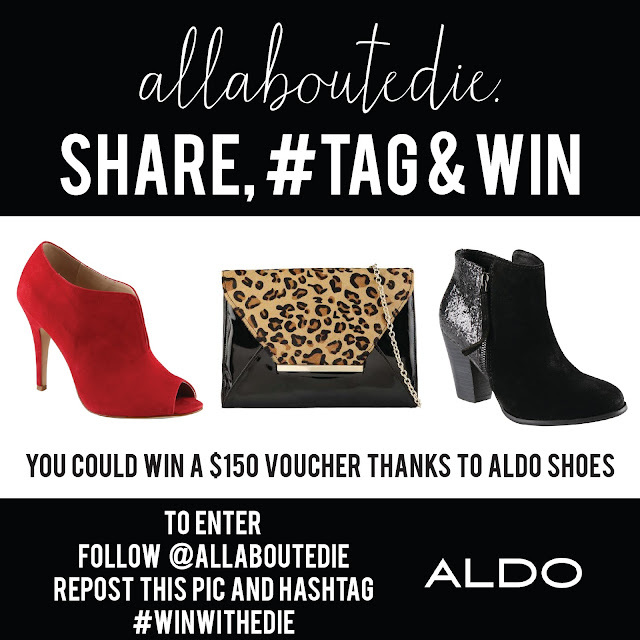 ALDO shoes X allaboutedie comp. Happy Friday to all my lovely readers! Work has wrapped up for the week and now it's time for you to indulge in some festivities or kick up your perfectly pedicured toes and take captive of the Foxtel remote to catch up on some trash reality TV. Whatever it is your weekend involves, here is a little gift just for you. Then head to to ALDO facebook page and 'share' the AW13 campaign video.